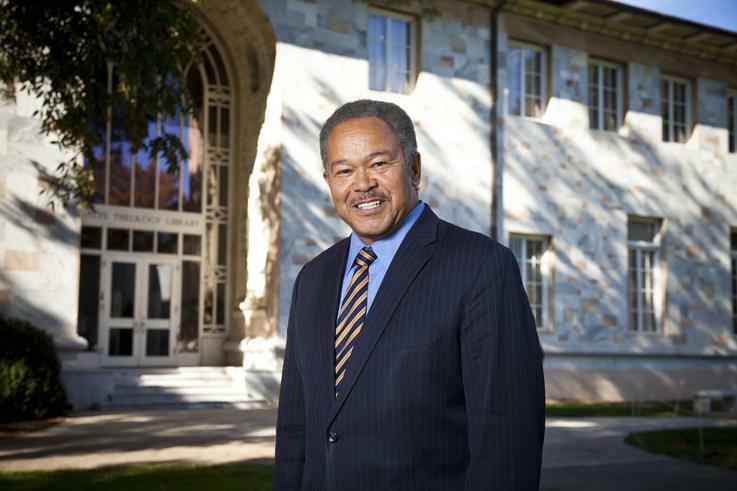 Dr. Robert Michael Franklin Jr.
Dr. Robert Michael Franklin, Jr. is the James T. and Berta R. Laney Professor in Moral Leadership at Candler School of Theology, Emory University and Senior Adviser to the President of Emory University. He is former Director of the Religion Department at the Chautauqua Institution and President Emeritus of Morehouse College. Franklin is an ordained pastor in both the American Baptist Churches USA and the Church of God in Christ. He is the author of three books: Crisis in the Village: Restoring Hope in African American Communities; Another Day’s Journey: Black Churches Confronting the American Crisis; and Liberating Visions: Human Fulfillment and Social Justice in African American Thought.